2003 – When the Earth and the Planet Mars were aligned, creating the fuel saving trajectory that occurs every "26 months", NASA launched a pair of Mars exploration rovers toward the "Red Planet". These two separate, but identical, robot rovers landed on Mars, using a beach-ball style landing technique bouncing them onto the Red Planets surface 27 days apart. Sending two spacecraft, increased the chances of success and helped ease the sting from the failure of two Mars-bound spacecraft the year before. Two rovers also increased the speed for the search for the mysterious missing Mars water and helped explore the possibility that the planet once harbored life. Both of the sophisticated mobile robots were able to act as mechanical geologists, examining and even breaking open rocks to search for clues to Mars' history. Instruments analyzed the rock chemistry and a microscopic camera sent close up images back to Earth. The Mars 2003 Rovers each weighed about 300 pounds and cruised the planet on six wheels powered by solar-charged electrical power. Each communicated independently with Earth, using a pop-up dish antenna. 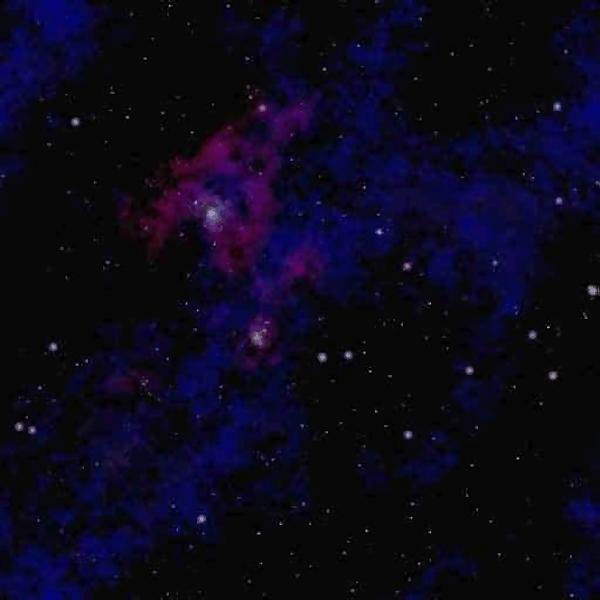 Pictures collected by the rovers were relayed immediately back to earth and were made available to the public. to roam about 110 yards during each of the Martian days (24 hours, 37 minutes). The rovers far exceeded their life expectancy and performance capabilities. The robots have 20/20 color vision from 10 cameras onboard each vehicle. One camera is used for navigation and is linked to an onboard computer that let the rovers look ahead and plot a wheeled course to specific destinations. and a camera that gives microscopic views of grain-sized specimens. The rovers were launched separately from Cape Canaveral Air Force Station in Florida by Delta 2 rockets. The first "Spirit" was launched on Tuesday June 10th 2003, and she made her way to "Gusev Crater" to begin exploration. 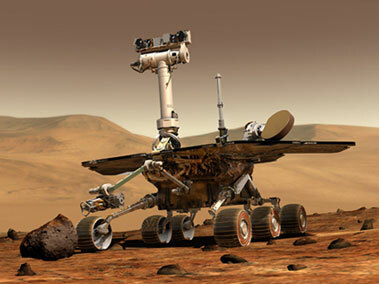 The second rover "Opportunity" was launched on Monday July 7th 2003 to make her way to "Meridiani Planum" to begin sending back data. deployed and lowered each craft to within a 1,000 feet. At that point, the air bags inflated, surrounding the robots as the spacecraft are lowered to the surface. They bounced and rolled for maybe a half mile, then the air bags deflated and the rovers reported back to earth and began to roll off on their own.